This entry was posted in JoJo's Journal and tagged Acorns, Beauty, Blog, Entertainment, Family, Fun, Humor, Life, Lifestyle, Love, My Life, Pets, Photos, Summer, Thoughts, Yorkies. Bookmark the permalink. Your dog is just too darn cute! Thanks Katherine. It’s amazing how much you can love such a little thing. Come back and visit soon. Message from Dolly in Iowa. All I am doing is staying in air conditioning. It is so hot and will be for three or four more days. I only go outside when I have to do the necessary things. My friend & owner wants to get a female Yorkie that looks just like you. She thinks she would make a good pal for me. What do you think Jo-Jo. I weight 100# and I love little dogs but what if I stepped on my pal by accident? Don’t know what Carolkin has decided. Sorry so hot. 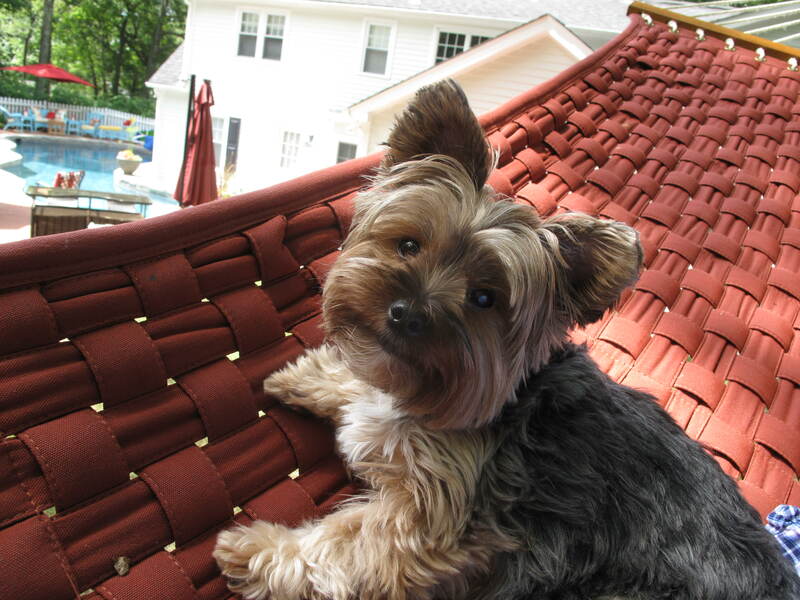 Yorkies are great buddies although can be a little selfish sometimes. I think you would like one though.